Dating over 40 is a hot topic these days, as divorce rates continue to climb, leaving more and more of the over 40 set looking for a new mate. Gregg here to give you a great story of a woman who is middle aged and kickin it. Thanks to Anna, one of my readers, for giving permission to share her story. My name is Anna. My husband and I are celebrating our anniversary this month. Having been married for almost twenty years, it breaks my heart that most of my friends have gone through, or are currently going through a divorce. Some have been amicable. Others have been downright brutal. But for those who have been through it and come out the other side, entering the dating pool again seems like a daunting proposition. My best friend Margo turned 45 this year. A few years ago she told her husband she was leaving him. They got married young, and started a family right away. Three kids later, she realized she never really knew the man. Their irreconcilable differences aside, she always thought he was a good dad – until he proved otherwise. Her children hardly ever see their father anymore, and they only speak on the phone when she initiates the call. When he got a new girlfriend (with kids of her own I might add), Margo’s heart broke – not for herself, but for her children. They needed a father in their lives, and she soon realized she needed a partner. She was finally ready to move on. Margo was in her early twenties when she got married. How on Earth, at age 40, was she going to start dating again? She knew what she wanted (and from experience, what she did NOT want) in a man. She also finally realized that she was a quality woman who deserved a man who would treat her, and her children, well. But where was she going to find a guy like that? I am happy to say Margo did find him. It did not happen right away, but it did happen. She met her perfect match (funny enough, he has three kids of his own), and they are happily dating. They have a solid relationship and she has taken the time to really get to know her man this time around. I suspect there will be a ring in the near future and I will be shopping for a Matron of Honor dress one day soon! Margo told me the key to her relationship success was a book. That’s right, a book — Middle Aged and Kickin’ It: A Definitive Guide to Dating Over 40, 50 and Beyond by Gregg Michaelsen. Michaelsen has a completely unique point of view on dating over 40, and this book helped give Margo the insight and confidence she needed to find love again. Which brings me to Kara. Her story is a bit different. I met her early on in my career as a journalist. I remember she was so focused and driven about work that she hardly had time for a personal life. Fast-forward twenty-five years. Kara and I recently reconnected on Facebook. And sure enough, she is 50 and still single. She accomplished what she set out to do career-wise, and now wants someone to share her life with. After a long hiatus from the dating scene, Kara made up her mind to change things. As a writer, she serendipitously stumbled across Gregg’s book and appreciated the candid humor and relatable information within its pages. She knows it’s never too late to find love. My neighbor Tina has been single for a year now, but she seems to have lost her self-confidence after the divorce. She confided in me recently that she knows it’s time to start dating again, but she does not know how, at this point in her life. The whole idea makes her nervous. It was like a light bulb turned on in my head. I remembered how Middle Aged and Kickin’ It helped Margo and Kara, and I knew it could help Tina and countless other women as well. Just like Gregg advises in the book, Tina needs to “shake it off!” She is beautiful and deserves this fresh start. And she should be excited about this new chapter in her life. I can imagine jumping back into the deep end of dating can be scary. But no matter what you have been through with your ex, there are great guys out there who would love to date you! You just need to have the confidence to get out there… and also the help of a great book. Are You In the “Dating over 40” Group? Rest assured, you are not alone. Restarting your life is no small task, especially when it comes to dating. 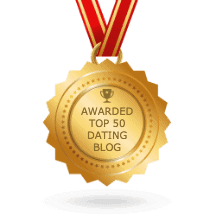 I want to be sure to share another reader story, from Bridgette, with you today, just to help you see that, while scary, dating over 40 is not only possible, but a winning proposition!